Discussion in 'General Discussion' started by maiquocdat, Jul 17, 2018. Start GTA V, go to Document/RockstarGames/SocialClub/Profile/ delete ID folder and then Restart steam or restart Social Club. - Run GTA V Launcher as admin (if not Steam version ). If all file are correct, verify game again if "Corrupt Game Data"
- Happen because of Graphic Card ,I dont want to damage your graphicard , open "Device Manger" choice "Display" and remove Driver Graphics Card and reinstall newer version Do not do thí if you dont know what you do. - Try Alt + Enter twice, it helps you. 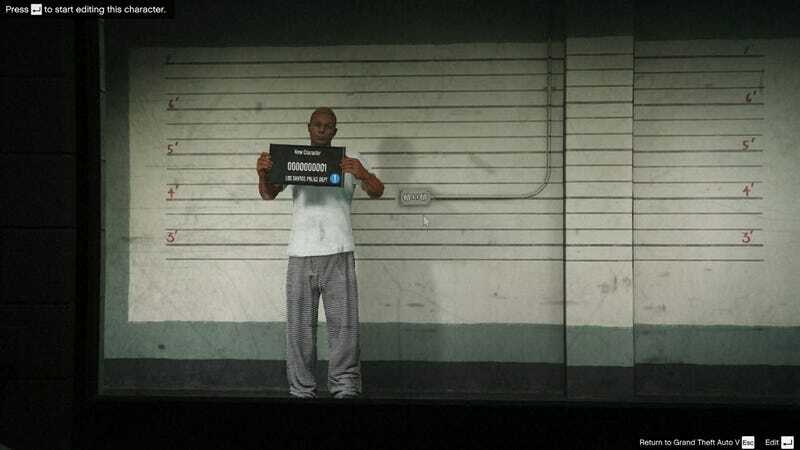 - "Self-Radio" also cause lagging if you did it you ,vou know, delete "User Music" in Document/Rockstargames/GTAV/Profile. Run game and open Setting/Audio/Full Scan for music and turn of auto-scan for music. Beacause of Nvidia Card (Graphic Card, I do not want to damage your computer or anything, but if you know a lot, then upgrade your video card driver. Or remove the Driver Card again. - Try Setting / Startup / turn it ON and set "Load into Story Mode"
- Do not use bombs. Game crashed after loading into Story Mode. Load into Online then go Offline. Check in Settings / Audio to see if Music and SFX 2 bars are small. Install the DirectX End-User Web Runtime: https://www.microsoft.com/en-us/download/details.aspx?id=35 - Laptop: Sometimes the game suddenly loses its sound when it folds or because of afk or too long, or due to sudden notification from the system to sound down. ~ Tommy Gay. We're sorry" - Game executable path not found. Please reinstall the game. Open GTA V, ALT + Tab, then press Ctrl + Shift + Esc and go to Processes tab. This happens when you have installed some offline mods, such as ScriptHookV. To fix this, delete the mod file in theGTA V directory and delete dinput8.dll. If you still can not try: Verify the game ". Youtube: How to Verify Steam Cache"
- Open CMD (Click Window> Search bar> enter CMD and open it = admin rights) Then go to the blackboard write this line "ipconfig / flushdns" then press Enter then type "netsh winsock reset" then press Enter> then add "netsh int ipv4 reset" then Enter then Restart again. Comments from H.T Dat: Note: This method is almost correct for Windows 7, but Windows 10 is bad luck. Game load long because there is too much music in "User Music"
- If you know how to add music and scan music, simply by turning off the "Auto-Scan" in "Audio" of "Settings". After turning off Auto-scan, press "Quick-Scan". Maybe the game will load faster next time, not delete the music. 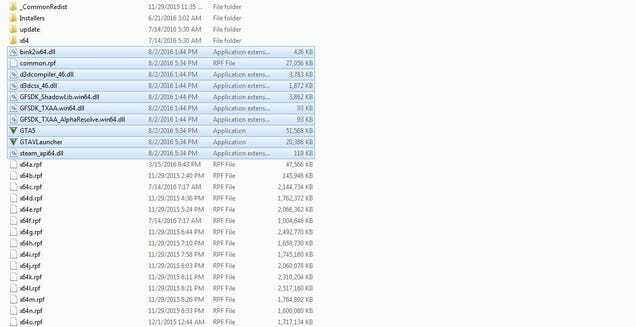 Delete all the files and leave the .rpf files and the x64 folder, then Verify the game. Open GTA V, ALT + Tab, then press Ctrl + Shift + Esc and go to Processes tab. Search for GTAV.exe> Right click on it> Select "Set priority" and select High. Create a .TXT file (In notepad ...) copy the following line to save> Then save it named "Grand Theft Auto V.bat" then later open it with bat file. start steam: // rungameid / 271590 timeout 45 wmic process where name = "GTA5.exe" CALL setpriority "high priority" wmic process where name = "gtavlauncher.exe" CALL setpriority "idle" wmic process where name = "subprocess.exe "CALL setpriority" idle "
NAT Scrict when playing GTA Online. 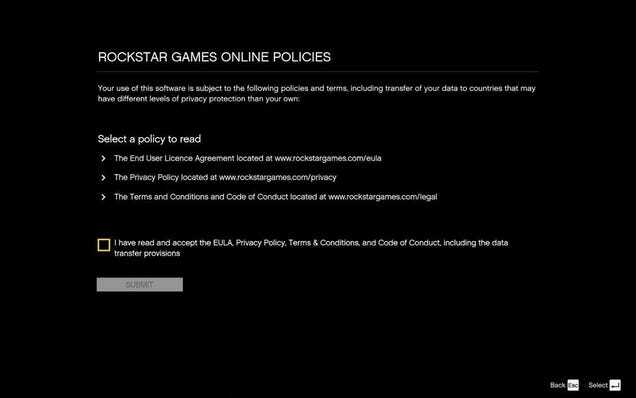 Can not access Rockstar Servers. 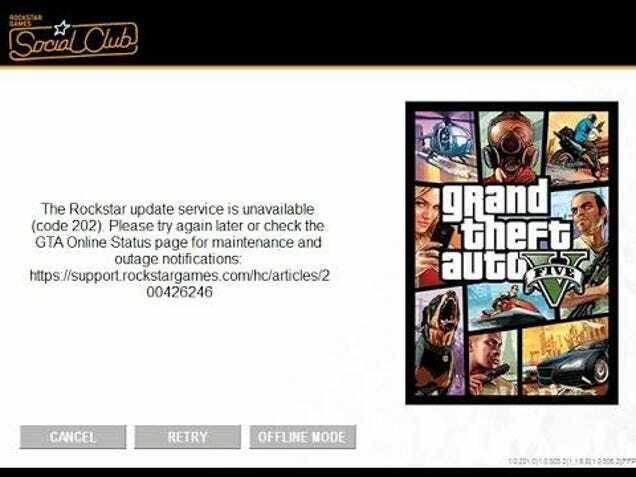 Activation of GTA V requires an internet connection. This error usually occurs in Non-Steam (Warehouse) The ways I know to fix this are: Go to Control Panel> Network and Internet> Network and Sharing Center> Change Adapter Settings> Right-click your network and select Properties> select "IPv4"> Use the following DNS Server Addresses: Set Preferred DNS to 8.8.8.8 and Alternate DNS is 8.8.4.4 then press OK, try to open the game. Press the Start button> Type "CMD" and open it with admin. Type in the blackboard these lines: (Ctrl + C it, then to CMD right click select paste, not Ctrl + V where) ipconfig / flushdns nbtstat -RRnetsh int ip reset netsh winsock reset Then restart the computer. Then find two files named "cfg.dat" and "pc_settings.bin". Delete two files, go into the game, it will ask again, later it will run out. This is the last way, there is no alternative or fix.